Winner of the First Prize in the 2010 Queen Elisabeth Competition in Brussels at the age of 23, Denis Kozhukhin has established himself as one of the greatest pianists of his generation. Kozhukhin’s performances have been praised by critics as “spellbinding”, “imperious”, and “mesmerizing”. Technically flawless, Kozhukhin combines wisely the brilliance and power of his playing with a masterful sense of form, maturity, and a very unique sensitivity. Kozhukhin frequently appears with many of the leading international orchestras, such as Royal Concertgebouw Orchestra, London Symphony, Staatskapelle Berlin, Chicago Symphony, London Philharmonic, Philharmonia Orchestra, Philadelphia Orchestra, San Francisco Symphony, Mahler Chamber Orchestra, HR-Sinfonieorchester, NDR Radiophilharmonie, Vienna Symphony, Orchestre National de France, Mariinsky Orchestra, St. Petersburg Philharmonic, Czech Philharmonic, Royal Stockholm Philharmonic, Oslo Philharmonic Orchestra, Orchestre de la Suisse Romande and NHK Symphony, among others. He regularly performs under the batons of Daniel Barenboim, Sir Simon Rattle, Valery Gergiev, Vladimir Jurowski, Gianandrea Noseda, Paavo Järvi, Vladimir Ashkenazy, Jaap van Zweden, Thomas Dausgaard, Stephan Deneve, Jakub Hrusa, Vassily Petrenko, Kristjan Järvi, Emmanuel Krivine, Jaime Martin, Andrés Orozco-Estrada, Xian Zhang, Rafael Payare, Donald Runnicles, Vasilly Sinaisky and Yuri Temirkanov. 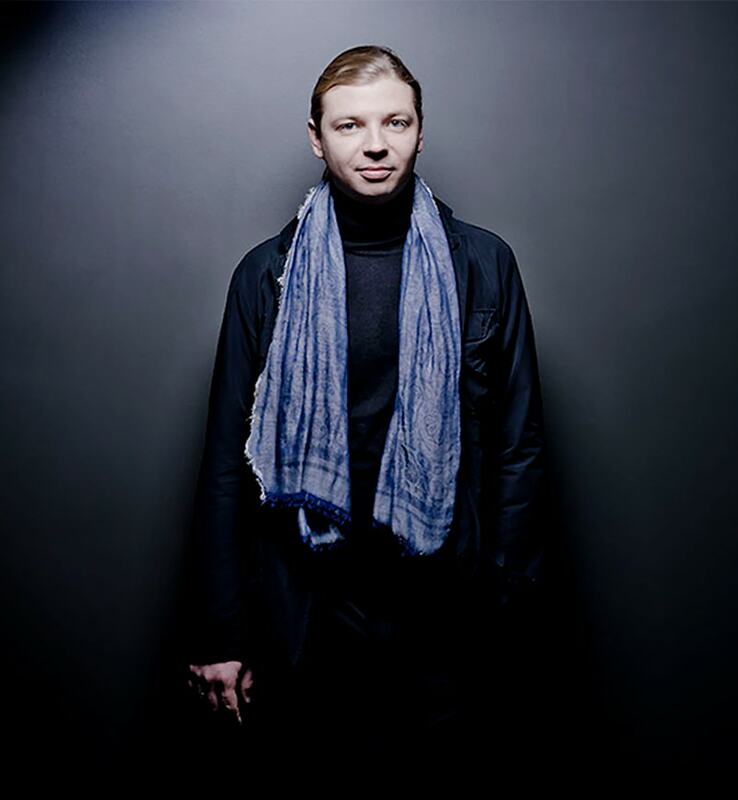 The 18/19 season brings for Kozhukhin the debuts at the BBC Proms, performing Shostakovich Piano Concerto No.2 with the Aurora Orchestra, National Symphony Orchestra, NDR Elbphilharmonie Orchester, Bamberg Symphony, Royal Philharmonic, LaVerdi Orchestra, Vienna Radio Symphony, Orchestre Philharmonique de Liege, KBS Symphony, Moscow State Symphony Orchestra, Iceland Symphony, Borusan Philharmonic, as well as the returns with London Symphony, Philharmonia Orchestra, St. Petersburg Philharmonic, Orchestra National du Capitole de Toulouse, Bournemouth Symphony and Royal Liverpool Philharmonic. Kozhukhin will tour in Europe with the Cadaqués Orchestra under Vladimir Ashkenazy, performing Mozart Piano Concerto No.23, and will be artist in residence at the Schloss Elmau-Verbier Festival. As a recitalist, recent and upcoming highlights include appearances at the Concertgebouw’s Master Pianists Series, Wigmore Hall, Musikverein, Vienna Konzerthaus, Munich Herkulessaal, Rotterdam De Doelen, Cologne Philharmonie, Klavier-Festival Ruhr, Verbier Festival, London’s International Piano Series, Flagey Series, Auditorio Nacional de Madrid, Accademia Nazionale di Santa Cecilia, Théâtre du Châtelet and Boulez Saal. His debut recording for the label Pentatone, featuring Grieg Piano Concerto and Tchaikovsky Piano Concerto No.1 with the Radio Symphony Orchestra Berlin and Vassily Sinaisky was received with rave reviews, including Gramophone Editor’s Choice and Disc of the month in Fono Forum and Stereophone. His last album, including Ravel and Gerswhin Concertos with the Orchestre de la Suisse Romande under K.Yamada was released in April 2018.